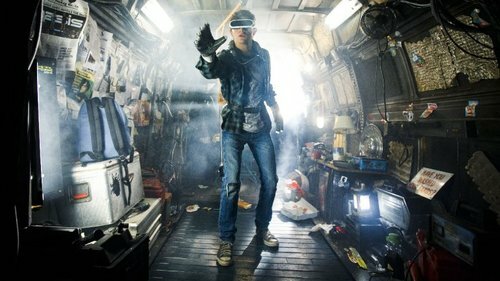 In Ready Player One, a Steven Spielberg movie released in 2018, the netizens of a squalid future escape their daily lives through epic gaming sessions on the OASIS platform. Spielberg's vision had already terrified the parents of Fortnite-addicted teenagers, and it looks even more nightmarish after the launch of Google's Stadia platform this week. It's not only parents who should be worried, either: For the chief technology officers of telcos, ISPs and cable operators everywhere, Stadia is one scary prospect. That's the assessment of Rudolf van der Berg, a Dutch management consultant and Internet expert. In a lengthy assessment of Stadia published here, van der Berg says many of today's broadband networks just won't be able to hack it. "All networks will have to work on uplinks, peering and interconnection," he writes. "None of the traditional tricks of generating and keeping traffic local will work anymore. It is coming from Google and it's a flood." Ready Player One depicts a reality in which gaming is the reason for living. But online games such as Fortnite, in which players gun down their opponents until there is only one survivor, have been around for a while. So why the sudden panic? As Jefferies equity analysts explain in a research note, Stadia is a revolutionary concept in cloud gaming because it takes processing that would normally happen in a gaming console and shifts it to the data center. The service is then delivered over YouTube, Google's mass-market video-streaming website. Hey presto, billions of cheap, dumb devices can become gaming consoles, and anyone who can receive a YouTube link can join a game. Almost overnight, it could turn millions of occasionally active teenagers (as well as some of their elders) into bedroom-bound gaming zombies. "Google is reducing the friction to play games," is Jefferies' no-nonsense take. "With Stadia, players can simply click a link and they can play on any screen." This will create a tsunami of data traffic that could swamp today's cable and partway-to-the-property fiber networks. Imagine, writes van der Berg, if just 2.5% of households were playing Google Stadia at the same time of the evening. For an operator with 4 million customers, that would be 100,000 streams in parallel, equating to about 2.5Tbit/s (yes, that's terabits per second) in network capacity demand, according to his calculations. "No matter how you look at it, it will require some upgrades of core switches and private network interconnects between Google and telcos," he says. And you can forget about using 5G (perhaps this is a killer app for 6G technology?). The article by van der Berg is a must-read because it provides all the details behind his expectations. The issue for telcos is that heavy spending on network upgrades is unlikely to be matched by any boost in sales, unless operators can somehow tap into the revenue streams for gaming services. Only octogenarians and farmyard animals still lack broadband connections in developed economies, and ratcheting up the broadband speed dial has never been a really successful way to extract bigger payments from customers. Ah, but you're forgetting about latency, the mobile operator retorts. Telcos like Deutsche Telekom are hopeful that someone (whether a consumer, a device maker, a gaming company or an online giant) will be willing to pay for gaming services that require low latency connections (latency is the time it takes in milliseconds for a signal to make a round trip on a data network). In the case of Stadia, however, Google may have this nailed up with its data centers and global caching system, reckons van der Berg. The opportunity for a telco would consequently not be there -- and certainly not on 5G, as previously mentioned. That won't necessarily be the case for all online games. Deutsche Telekom has already built four "edge" data centers in big German cities that could support a new 5G-delivered augmented reality game it has been testing with Niantic, the games company behind Pokémon Go, and Samsung. Those edge investments are needed, it says, because latency on today's networks would leave gamers feeling dizzy. And mobile networks are essential because gamers would play on smartphones. Outdoors. In city centers. But there are obviously lots of variables in this scenario, and it remains unclear whether Niantic, Samsung or a gamer will compensate Deutsche Telekom for the edge investments. The future business models are still "up in the air," the German operator has acknowledged to Light Reading. Stadia seems like much better news for fixed broadband access and Internet equipment makers such as Adtran, Arris (for cable networks), Calix, Huawei, Nokia, Cisco, Juniper and more. Operators that have resisted upgrading their networks to all-fiber connections may finally have to budge, or lose broadband customers to rivals catering to gamer families (or families under pressure from teenagers to switch provider). That will depend largely on the response to Stadia, of course. "Does multiplayer work or will it be laggy?" says Jefferies in its research note, showing there is some industry concern over the issue of latency. "Second, what games will be supported? The answers to these questions will determine the speed of adoption." Get ready, player, parent and telco. As kids move to watching their own streams on their phones, why will people invest in technologies that only work on very large screens? Can you imagine a home say 10 years from now that has no TV and no phone as the new norm? I certainly can. The experience of higher than HD TV is that it is most useful in sports and potentially experience video. VR will have to be the game there and right now there are significant challenges with that. That sense of cross platform gameplay only exists in the Microsoft and Sony Universes. You have missed the Valve Universe, which is probably the most important game distribution platform with Steam. And you have to realize that console gaming is only a small segment of the gaming market. The largest by far is mobile gaming and it has a vastly different player base than consoles. On the other end of the spectrum is PC gamers. Console gamers tend to focus on First Person Shooters of various sorts. There are other games...for example World of Warcraft is still around after 14 years (Heck Everquest is still around after 20). Console gamers tend to be male and youngish. So, will there be a pre-pay option available? Without that, Stadia will have challenges. The gaming market is complex and in a very difficult place right now. Want to see a company completely screw the pooch? Do some research on Fallout 76 and all the things that Bethesda did wrong with it. That is just one example of what is going on at the large gaming companies. You should look at how Fortnite was developed and note that the play mode that really got the game to hit the hights was not part of the original release and was not even close to the first Battle Royal game. "I think that 4K and 8K video are DOA, so I don't think this is as big a deal as others. As we head to personal streaming services, I think screen sizes are going to shrink and we may see the end of the central TV market in my lifetime." Is it the case that multi-platform games are finally starting to take hold? Is there any chance that this can break the power of the existing patforms? It seems weird that you can have the same game on xbox and playstation but can't play online across platform. This seems archaic and not customer friendly. The experience is awful compared to other platforms. I think that 4K and 8K video are DOA, so I don't think this is as big a deal as others. As we head to personal streaming services, I think screen sizes are going to shrink and we may see the end of the central TV market in my lifetime. The big challenge for Google is going to be to not repeat the mistakes of Onlive. This specifically about availability and support of titles. This service is coming at a very interesting time in the video game market. The AAA titles (those big games) are struggling to generate revenue. They are at the point where the new ideas just are not coming and the next version of Call of Duty (as an example) will likely have little new to offer the community. The changes are coming out of the indie and mod market (like Fortnite). The question is how will these be supported on Stadia. A second challenge on this front is that the service does not seem to be offfered in Asia anytime soon. That is a big deal as South Korea, Japan, and China have a huge impact on the gaming world. It will be interesting to see if titles from South Korea and Japan in particular are supported or not. A third challenge is that people that are actively playing a title are unlikely to switch to this service. If they already have a solution, why are they going to pay money for what they do for free today? The notion of insta-play is very nice - but downloads are not really an impediment for those that want have the broadband service that will support Stadia. Finally, there may be a challenge with payment and pricing - as Google did not talk about this at all. Most of the people that might use this kind of service are credit card challenged and often work from pre-paid services. We also don't know what kind of monthly fee may be required - on top of any cost to purchase a game. So, I would slow my roll before I get too worked up about this. And I urge again that Lightreading assign somebody to be an expert on the gaming business. Video Gaming is a larger industry than movies. I was being a tiny bit fliappant, but also a bit serious. Obviously, it would be a small addresable market if you need 1 Gbit/s connection. Google says you need ~25 Mbit/s for 1080 60FPS and probably quite a bit less in practice. But as you go to 4K (and maybe 8K?) and you need mutiple streams per household, it starts to add-up. If you don't recall, this is an idea that has been tried before. It should not take Gigabit services, it is just hosting a video stream. Also this notion of all devices is not going to work. You are not going to play Fortnite on a phone. Input would be too hard.